Project management is important in all spheres of life. With so many people starting their own business, it has become even more valuable. Today, most workplaces frequently demand this skill as part of employees’ skill set. For those with some knowledge and experience in the field at an organizational level, the OPM Professional Certification is also worth consideration. In the final analysis, the project management certification chosen should be dependent on future prospects as well as current needs. Sign-up directly with the Project Management Institute (PMI) to take the necessary examinations for certification. The cost for the exam depends on whether or not you are a member of PMI. Members will have the benefit of lower rates, the membership and examination costs combined is cheaper for members than the exams fees for nonmembers. Having certification is an indication to any company that you are dedicated and serious about what you do. The amount of hours needed to obtain and retain certification calls for dedication. In most hiring situations, the individual with PMI credentials will stand a better chance. When it comes to managing projects large and small, the person with PMI training will be more likely to be highly efficient. They can better understand the dynamics of project planning, budgeting and getting things done based on set timelines. 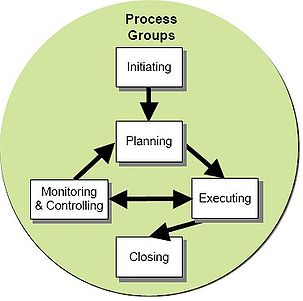 Anyone who is considering project management certification will need to know that it is a continuous process. After passing the initial examination, it is necessary to take renewal certification exams at set intervals.